CCS is a proud member of the Northbrook Chamber of Commerce! Converged Communication Systems, LLC, is a premier voice and data communication provider. Providing excellent support and maintenance services is our founding principle and we have a history rich in telecommunications and IT sales and services that we offer to all businesses. Nortel professional services and Avaya sales distributor serving the Northbrook, Illinois, and surrounding areas and providing nationwide Nortel professional services, Nortel support, and Nortel maintenance. Our centrally located Chicago based support headquarters, dispatch and distribution center allows us to serve customers on the east coast and west coast. We specialize in small business Nortel solutions as well as Nortel enterprise class telephony solutions focusing around your business needs. We are a full in-house sales and support organization that also focuses on your data network and voice and internet service provider needs working with a number of telephone service providers and VoIP and SIP providers nationwide to provide a complete and redundant solution. 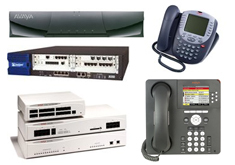 We work with all current and older Nortel phone systems, Norstar CICS, Norstar MICS, Modular ICS, Compact ICS, Nortel BCM Business Communication Manager, BCM 50, BCM200, BCM400, BCM450, Meridian phone systems, and Nortel Option 11C, Nortel Option 11C Mini, Nortel Option 61C, Nortel Option 81C, Nortel Communication Server 1000, Communication Server 2000, Nortel CS1500, Nortel CS2100, Multimedia Communication Server 5100, Mobile Communication Client, IP Softphone, Secure Multimedia Controller 2450, Software Communication System 500, Adaptive Application Engine, Application Server 5200, Application Server 5300, phone systems as well as our core Avaya phone systems. Our goal is excellent customer service. Customer who have Nortel systems in place turn to us for our aggressive migrate to Avaya promotions as well as our Nortel upgrade plan and Nortel moves, adds, and changes requests. We support your older technology by providing maintenance services as well as programming services to allow you to keep your investment protected. We specialize in small business telephone systems and large enterprise phone systems. Converged Communication Systems is a full Northbrook telecommunication and IT infrastructure sales, Nortel service, Nortel support, Nortel maintenance, Nortel installation, and Nortel programming services. To setup a free phone system demo or for a free phone service analysis, contact us at 877-950-7999. Contact us at 877-950-7999.